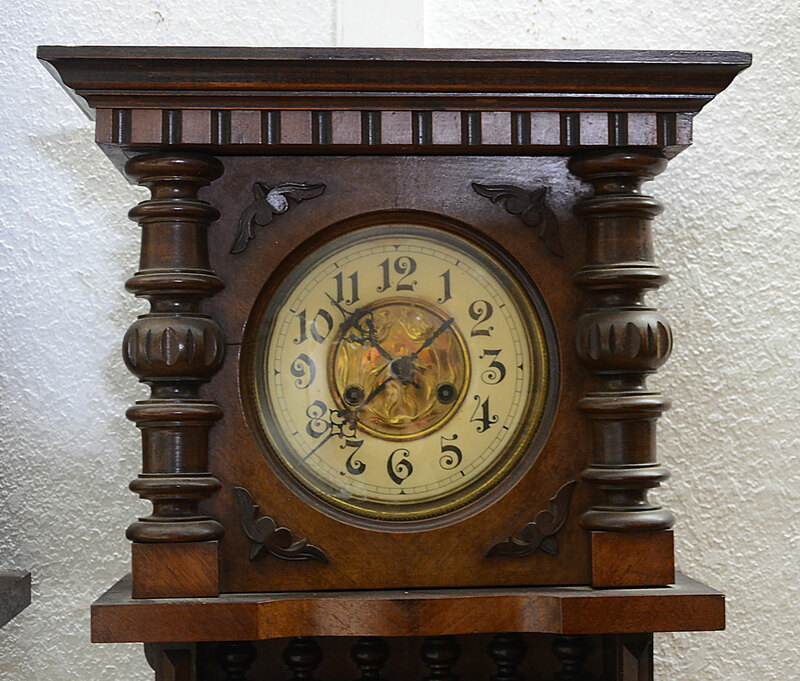 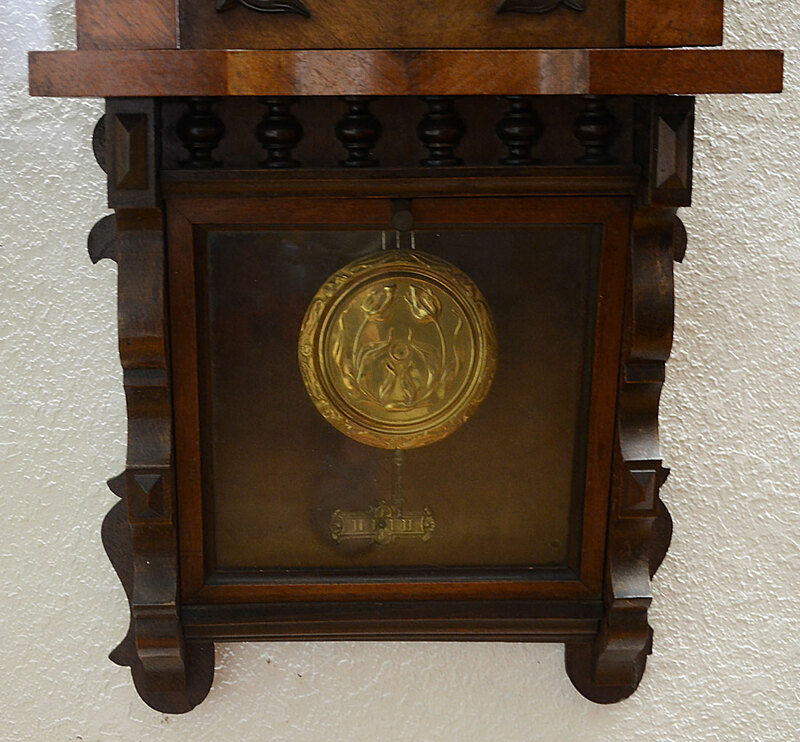 CARVED GERMAN WALL CLOCK: Walnut case with applied carved decoration, lower fall front glass door. 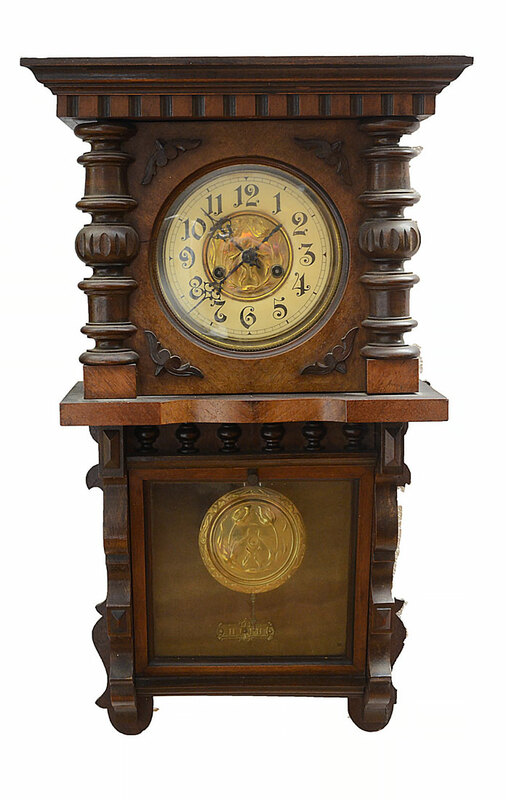 Paper dial with Arabic numerals, embossed brass center, unmarked time & strike movement. 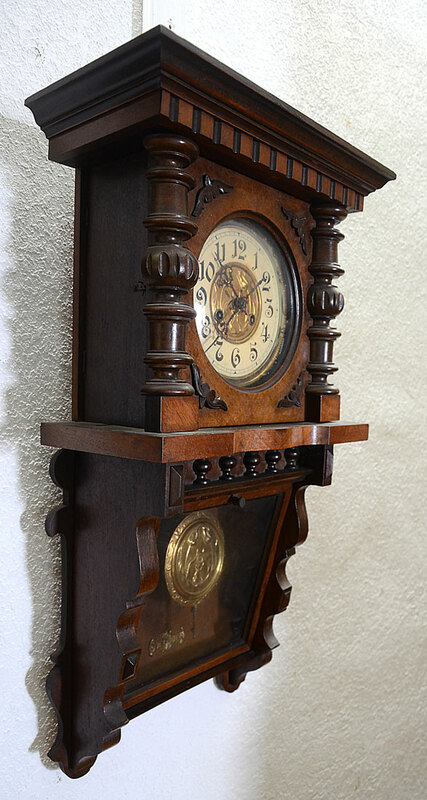 27 1/2'' h. x 16'' x 7 1/2''.